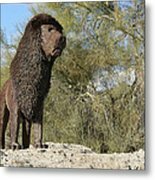 African Lion Sculpture Detail is a piece of digital artwork by Barbara Snyder which was uploaded on January 20th, 2013. 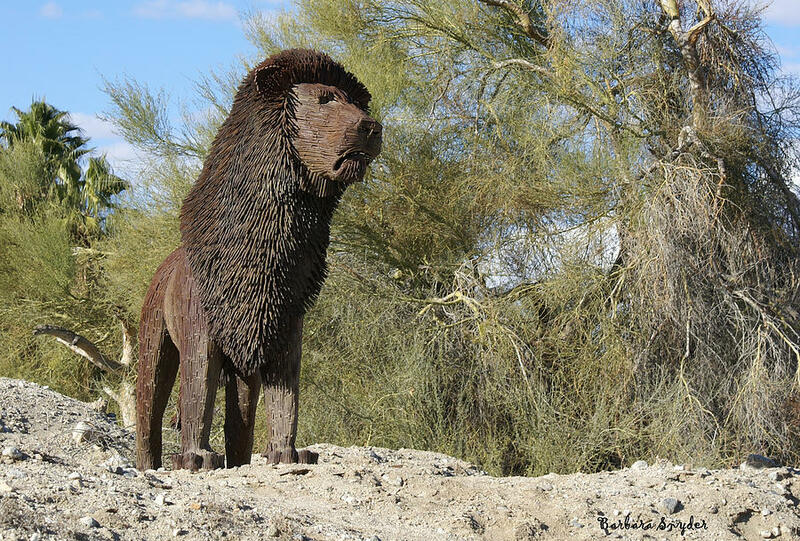 When you round the corner as you are walking the trail in The Living Desert, Palm Desert, California, you are greeted by this life size metal sculpture. From a distance it looks real, very real! If you sit and watch the reactions form people that see it for the first time, there are some startled reactions from the adults. The kids however, run full speed ahead and show no fear what so ever. Youth is such a wonderful thing! 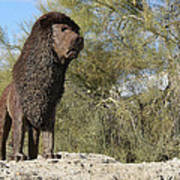 There are no comments for African Lion Sculpture Detail. Click here to post the first comment.